Life got busy there for a while. 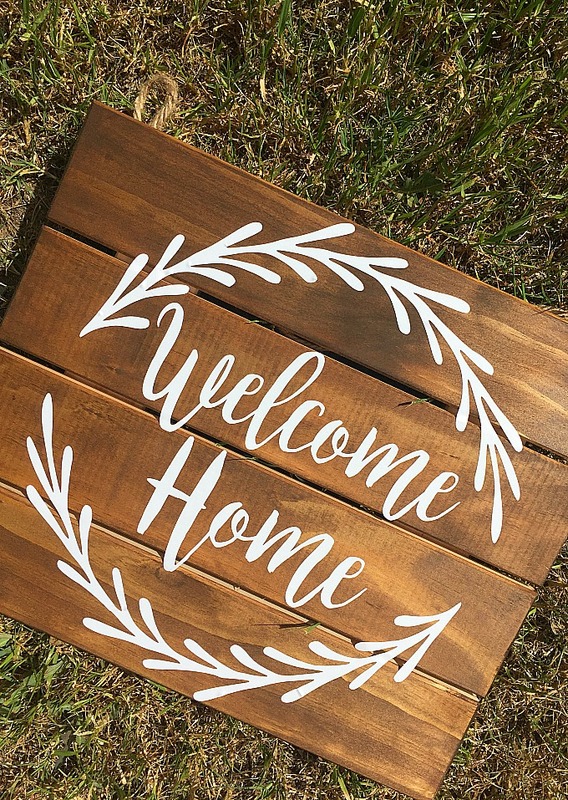 I haven't had the time to think about crafting, let alone blogging about something! I've been directing a musical for my church. Our performances were last weekend. It was a crazy, stressful, wonderful experience that I'm glad I got to have. I'm also really glad it's over! So now, I'm going to try to get some spring/Easter crafts done before this season passes me by. 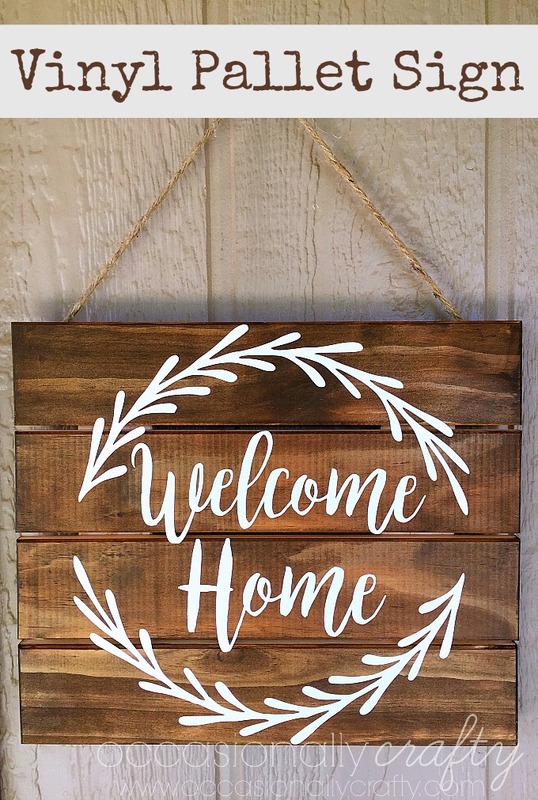 Today's project isn't really seasonal, but I just wanted something fresh to hang up by my door. 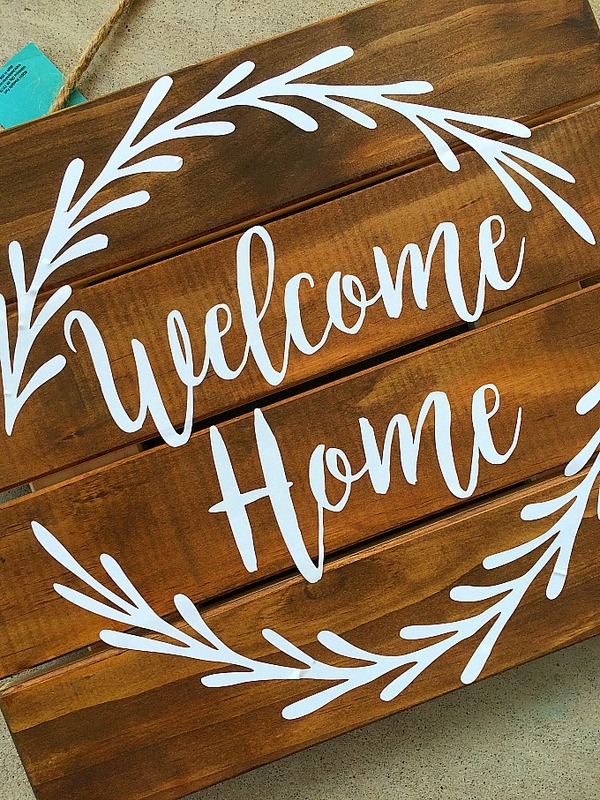 This "Welcome Home" vinyl pallet sign is a super simple project you can make too! Stain your wood. 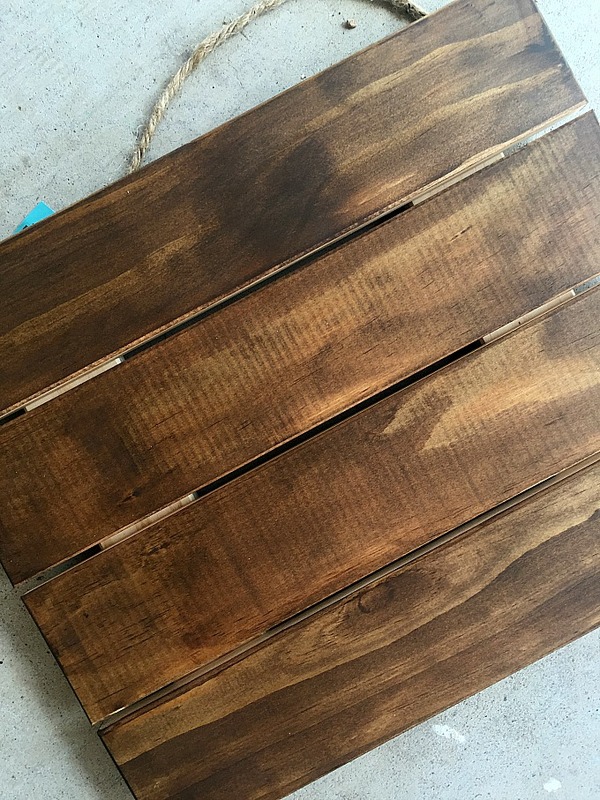 I used Antique Walnut Gel Stain left over from my kitchen cabinet makeover (coming to the blog soon). I just applied one coat with a rag, but you could do more if you want a darker color. Let dry completely- preferably overnight. Unless you're in a rush to make a blog post like me. I just left it out in the hot Arizona sun for a few hours. Apply a coat of polycrylic to seal in the stain and give the vinyl something to adhere to. Again, let it dry completely. Cut your vinyl decal in Silhouette Studio. Weed away the excess vinyl. 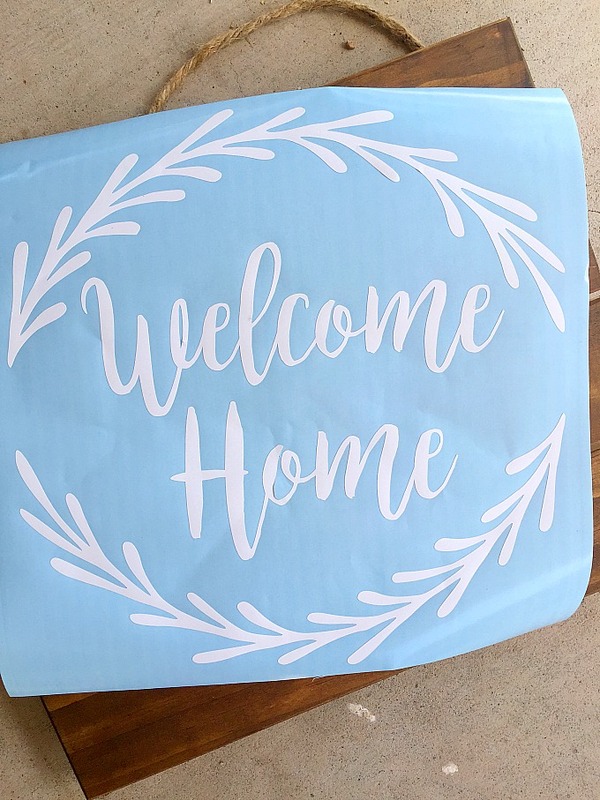 Use transfer tape to pick up your decal and place it on top of the pallet sign, making sure to center it. Here's the design weeded and ready to go. Scrape it with a credit card or vinyl scraper, then carefully pull up the transfer tape, leaving your decal behind. Yes, this is a pallet, so the vinyl crosses the gaps in the wood. It doesn't bother me. 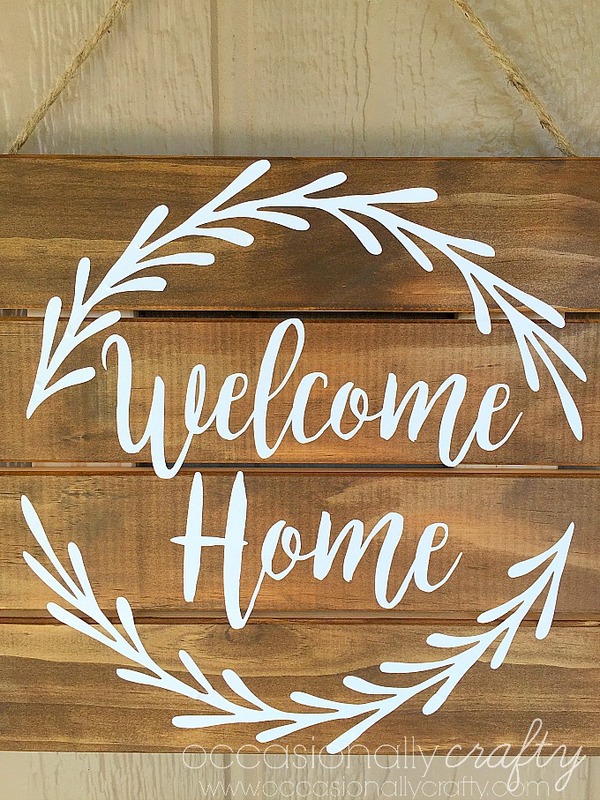 If it bothers you, maybe use a flat canvas or large wood plaque instead of the pallet style sign. That's it- super easy and stunning! Thanks for stopping by today. Happy Spring!